My eldest daughter is about to do a guide challenge where she has to cook a 3 course meal. 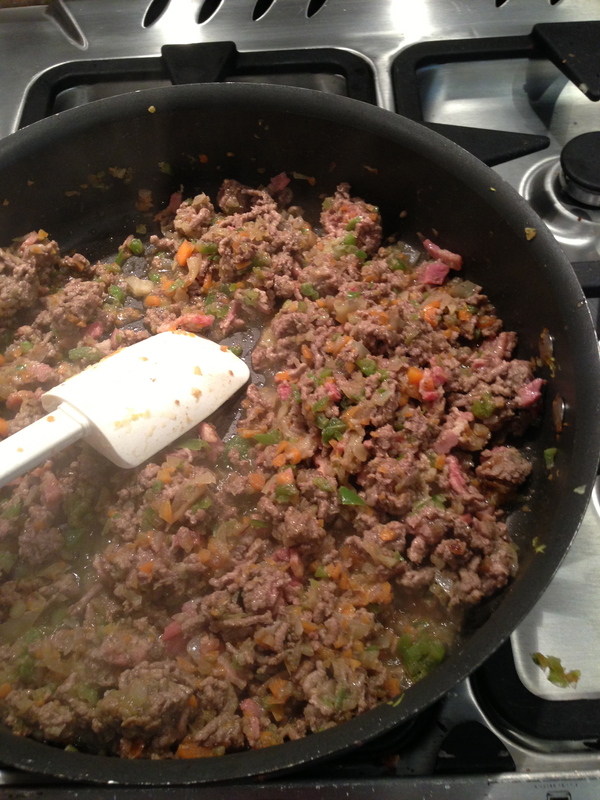 Her team have decided to make bolognese for the main course so she went to this blog for instructions on how to make it (I can’t tell you how pleased that made me!!). 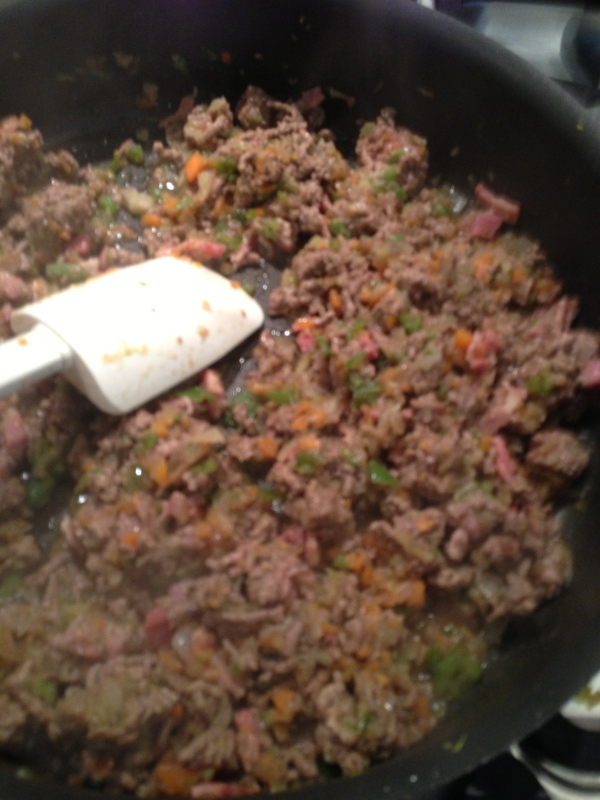 To her chagrin, there was no recipe… so, here it is!! Put a good splash of oil (maybe about 2 tbsp) in Family Skillet along with chopped onion and crushed garlic. Sprinkle with salt (to help the onion to release its juices) and cover. Gently fry over medium heat until softened. Taking care not to burn. 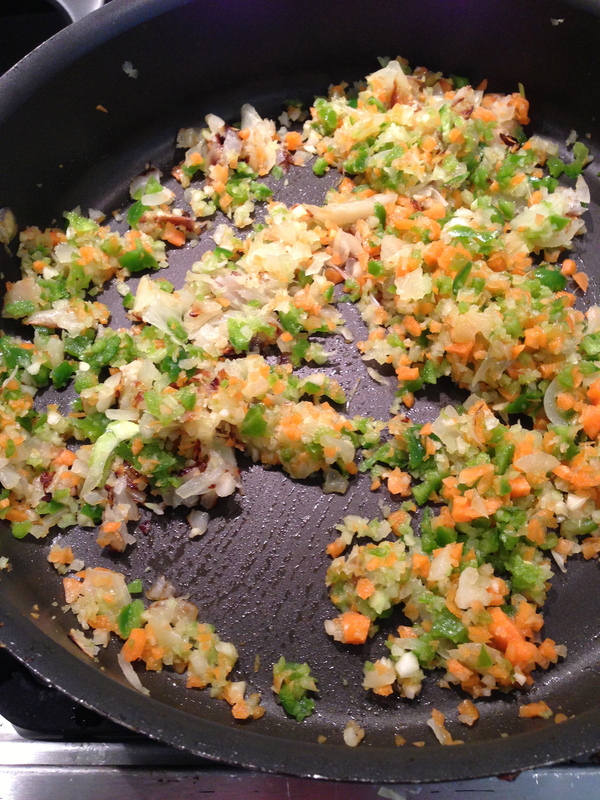 Add other vegetables and continue to cook until soft. 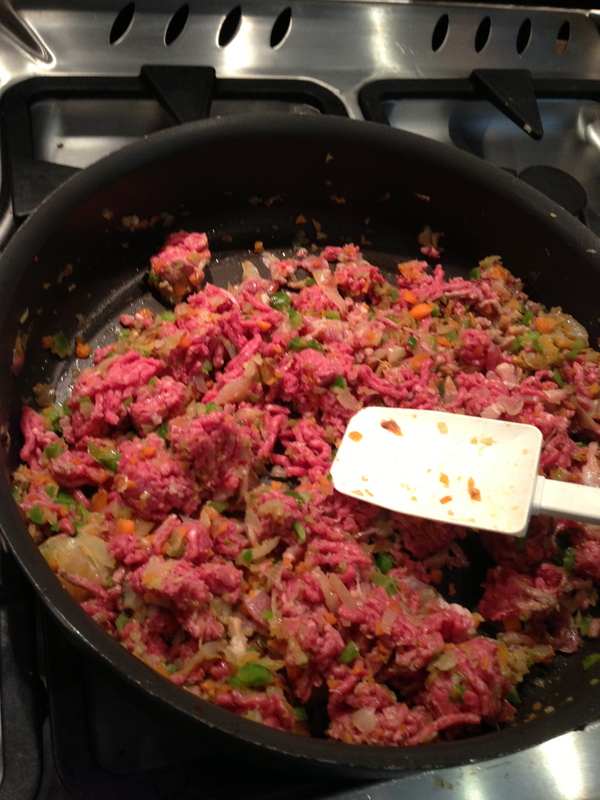 Next add the mince beef (and bacon if using). Break it up and cook until the meat has browned. 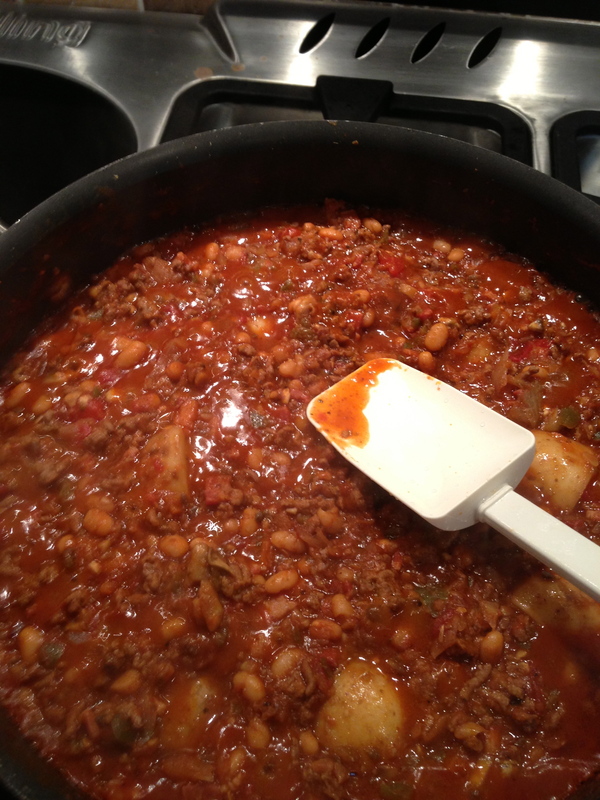 Next add tins of tomatoes (chopped) and beans, a good squeeze of tomato puree, one crumbled stock cube, good shake of dried herbs (at least 1 tbsp), shake of Worcestershire Sauce and seasoning. Bring to simmering point and then lease to very gently simmer for minimum 20mins but much better if it can be left for over an hour. The long simmering time really deepens the flavour. When we made this I included bacon but didn’t reduce the salt accordingly so it was very salty. 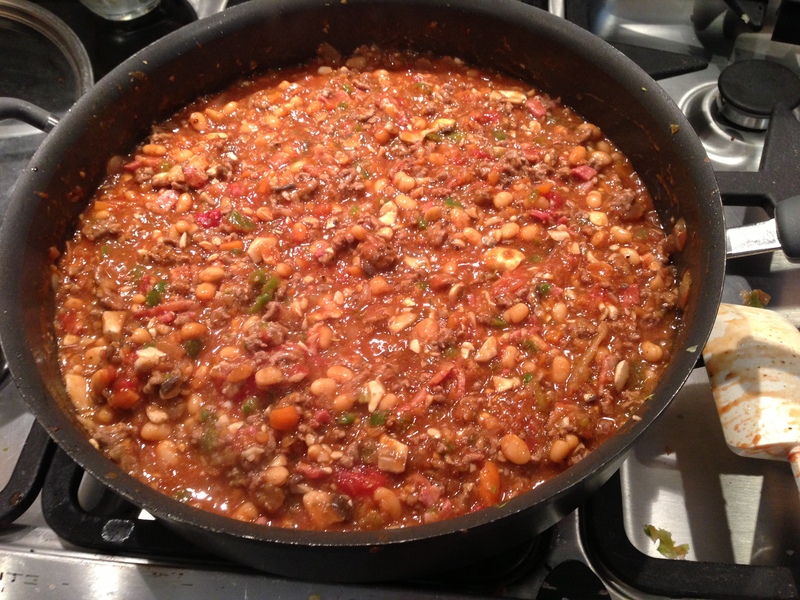 All we did was chop a potato and add to the simmering bolognese for 15 minutes – problem sorted! 30 Ways to use your Deluxe Mini Muffin Pan & Mini Tart Shaper! 11. Double Choc Mini Muffins Makes 48! 1 jar good quality jam. Add a Small Scoop of jam into each pastry cup. Bake at 180C for 10-15 mins; when cooling sprinkle over white choc chips or a square! 1 jar lime marmalade ? 1 packet plain choc chips or 1 bar plain chocolate. Add a Small Scoop of marmalade into each pastry cup. Bake at 180C for 15-20 mins. Note: Sprinkle chocolate chips or squares of chocolate over tarts after they have finished baking, while still hot. Put one ROLO in each cup. Bake for 10 mins at 180c, then immediately put one large white choc button on top of each tart. Leave to cool slightly. Eat while warm! Or, bake the pastry on its own for 8-10 mins then while hot pop a Rolo in each cup and allow to melt! Put one Small Scoop in each cup. Bake at 180C for 10-12 mins (You can sprinkle on some crumble mix to look like snow or half an almond on top; before baking), Sprinkle with icing sugar after cooking. 1pack chilled fresh choc chip cookie dough. Place walnut sized pieces of cookie dough in wells of tin, bake at 180C for 8-10 mins. 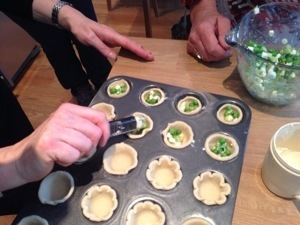 While still hot use floured tart shaper to press out tart shells, cool slightly then remove to rack till cold. Mix filling together and pipe generous rosettes in, dust with cocoa/cinnamon and icing sugar. Mix all cake ingredients together and beat for short while. Sppon into mini muffin pan and bake for 10-12 mins at 190oC. Remove pan from oven to Stackable Cooling Rack. Press tops of cups with Mini-Tart Shaper to make slight indentations. To make filling, , mix together soft cheese, icing sugar and orange zest until well combined. Pipe onto cooled cakes. Put 2 ½ tsp red pepper into 8 cases, put mushrooms mixed with garlic into next 8 cases and red onions in remaining 8 cases. 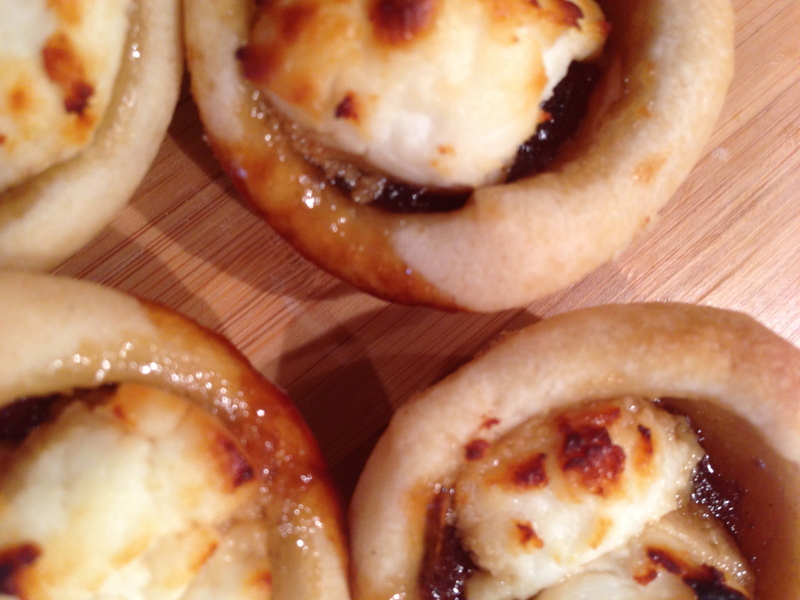 Put some goat’s cheese on top of the red pepper and mushroom tartlets and cheddar on top of the onion. 5 eggs in bowl, beaten. optional: 3 slices cooked diced bacon. Cut pastry into 24 squares and press into pan using Tart shaper. Mix all other ingredients together and then spoon into tarts. Bake 15 mins at 190oC. Add 1/2 tsp of pesto to each cup, then a small chunk of mozzarella and top with half a cherry tomato. Cook at 180 for about 10 mins. Put 1/2 tsp chutney into each cup and top with a “blob” of goats cheese. Cook for approx 10-12 mins. Divide, roll and shape pastry into mini muffin pan. Prick bases and put a muffin case into each pastry and fill with baking beans. Blind bake for 10 mins at 190c. Remove muffin cases and bake for a further 5 mins. (Watch they don’t burn) Once cooked remove to cooling rack to cool. Put filling mix into easy accent decorator and pipe into cooled pastry cases. Using small end of core and more make mini mango, papaya and kiwi balls and put on top of tart. Preheat the oven to 200oC, gas mark 6. On a slightly floured work surface, unroll the pastry. Using a 6cm round cutter, cut out 24 disks. Place each disk over a hole in the Deluxe Mini Muffin Panand then press into place using the Mini Tart Shaper. Bake for 15-20 minutes (ours took exactly 16 mins!) until the egg mixture is just set and a golden colour. Serve garnished with a further spring of mint if you wish. Make pastry shells with dibber in DMMP. Fill with Carnation Caramel. Bake for 12 -15 mins at 200c. Large choc button on top when they come out of oven. With the weather showing so much promise today I am venturing towards a warm salad. Here is a current one from The Pampered Chef. So easy to make either using a pan for the bacon or our new Ridged Stoneware Baker and cook the bacon for 5 mins in the microwave…crispy??!! Preheat oven to 200°C/fan 180°C/Gas 6. 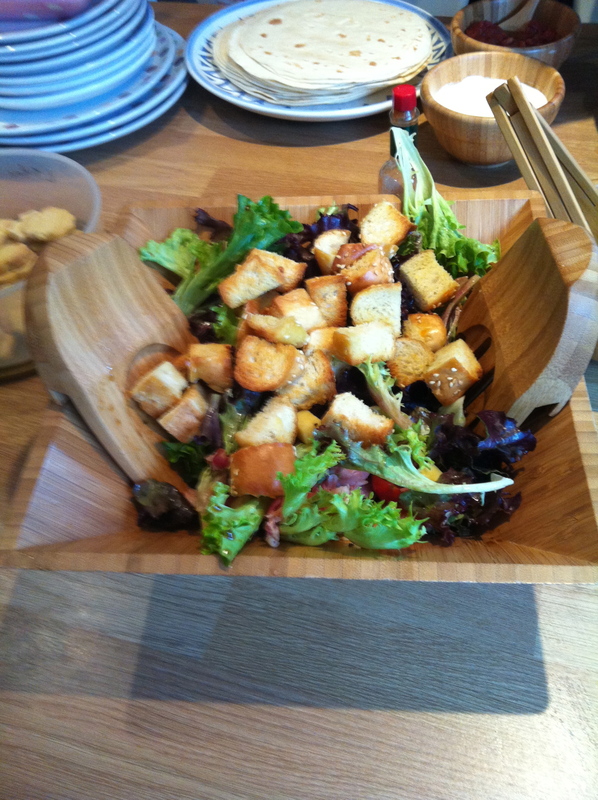 For croutons, cut focaccia into 15-mm cubes using Forged Cutlery Utility Knife. In Classic Batter Bowl, combine focaccia cubes, 2 tablespoons olive oil and garlic pressed withGarlic Press; mix well. Arrange focaccia cubes in a single layer on Medium Round Stone with Handles; bake 10–12 minutes or until crisp. Remove from oven; let cool. Meanwhile, for dressing, whisk together olive oil, vinegar and sugar in (500-ml) Easy Read Measuring Cup using Stainless Whisk until well mixed; season to taste and set aside. For salad, cut cheese into 3-cm cubes on Cutting Board. Coarsely chop cheese using Food Chopper; set aside. Thinly slice spring onions and cut tomatoes in half lengthways using Forged Cutlery Utility Knife; set aside. Cut bacon widthways into 2-cm strips. Heat remaining 1 teaspoon oil in Executive 20-cm Sauté Pan over medium heat 1–2 minutes or until hot; add bacon and cook 5–6 minutes or until crispy, turning occasionally. Remove bacon from pan; drain on kitchen paper. For each serving, arrange some salad leaves, spring onions and tomatoes on serving plates. Drizzle with about 1 tablespoon dressing or to taste; arrange cheese and warm bacon on top. Scatter over croutons; serve. Cook’s Tip: The croutons can be made in advance and stored in an airtight container for up to 3 days.Accurately measure oil, vinegar and sugar for dressing using Adjustable Measuring Spoons. Variation: For Warm Bacon & Avocado Salad, substitute 1 large ripe avocado (peeled, stoned and diced) for the Gruyère cheese. Toss diced avocado with 1–2 tablespoons fresh lemon juice to stop it from discolouring. Proceed as recipe directs.